The countdown is on, with only about 90 days left until the April 2015 opening of the 632-meter tall Shanghai Tower, China’s tallest building and the world’s second- tallest building. 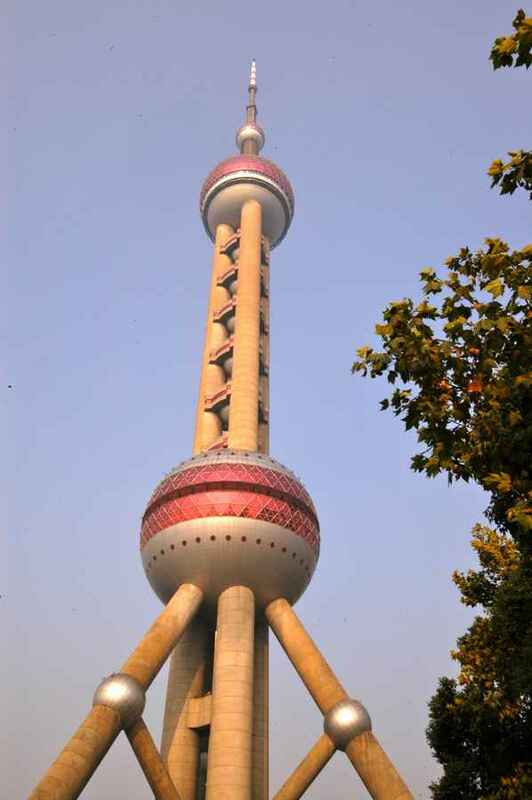 Marshall Strabala, Chief Architect of Shanghai Tower, says that final work is continuing on schedule and mainly being done to the 121-story building’s interior, especially the lobby, first several floors and the very top floors. 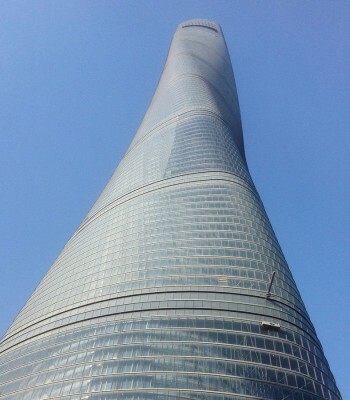 Strabala, who has overseen the design of the building for more than 8 years, has recently taken several new exterior and interior photos of Shanghai Tower that he is sharing here. 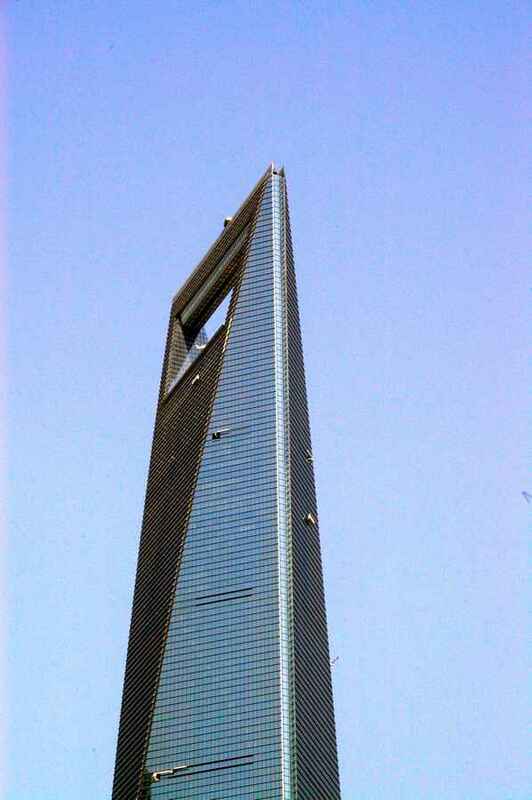 After viewing the photos, learn more interesting facts about the super-tall building below. 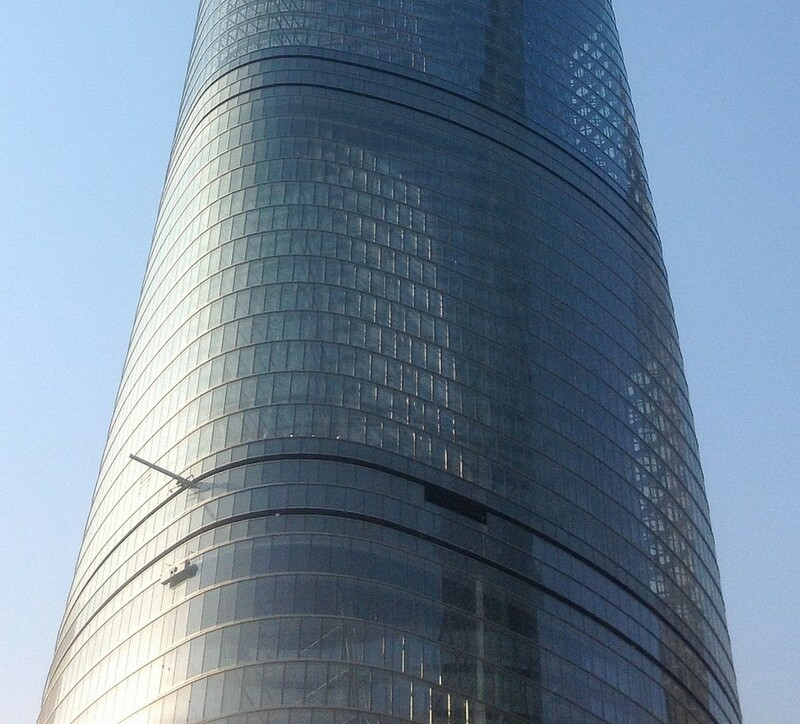 Planning to open in April 2015, Shanghai Tower is China’s tallest building at 632-meters (2074 feet) high. 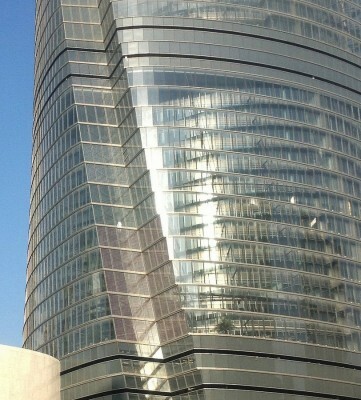 The structure’s cylindrical and curved design was chosen mainly to force the wind up and away from the building. It was designed to be able to withstand wind speeds of up to 114 miles per hour. 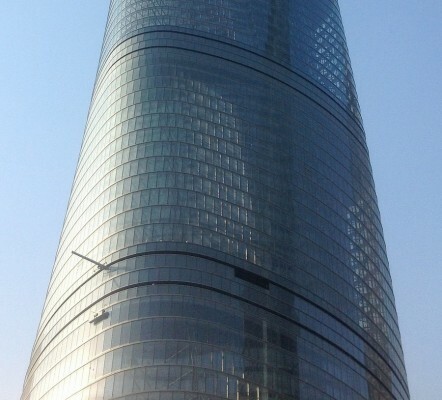 Shanghai Tower’s unusual 120-degree rotation, from ground level to peak, is mainly intended to reduce wind loads against the building. As part of the design process, the cylindrical-shaped design was put through wind tunnel tests to ensure it could shed or breakaway winds impacting the structure. A v-shaped notch runs up the side of the building, and is designed to interrupt the wind flow. At night, the notch and other sections of the building will be accented with special colored LED lighting, helping Shanghai Tower to stand out in Shanghai’s impressive city skyline. The six-story podium or base of the Shanghai Tower will house premium retail space for visitors’ enjoyment. The podium will connect with the tower’s main entrance and lobby. 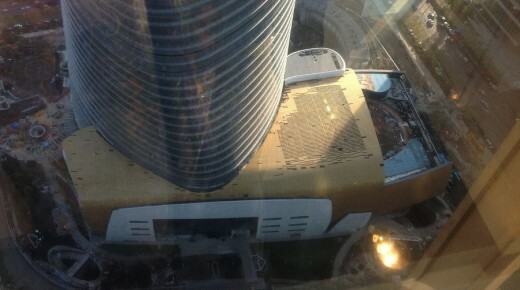 Seen from inside the adjacent Jin Mao Tower, the Shanghai Tower podium is seen connecting with the building. 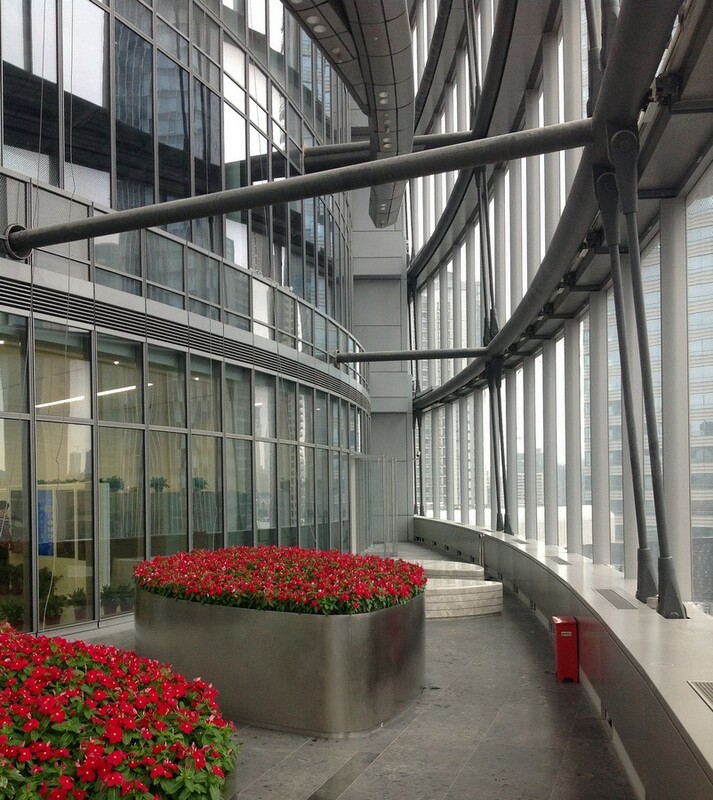 Below the podium (not visible), there is underground parking and also convenient access to the Shanghai Metro (Lujiazui Station, Line 2). The eighth-floor atrium is just beginning to take shape and will be one of many public spaces where visitors can meet. 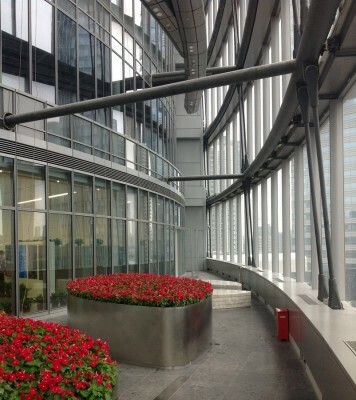 Shanghai Tower will have office spaces across nine indoor zones with atriums featuring gardens, restaurant and cafes, in addition to retail space, a public observatory, a luxury hotel and underground parking. Shanghai Tower is a double-walled structure (see inner wall on left side) that helps the building to act much like a “thermos” says Chief Architect Marshall Strabala, with the inside staying warm in the winter, and cool in the summer. 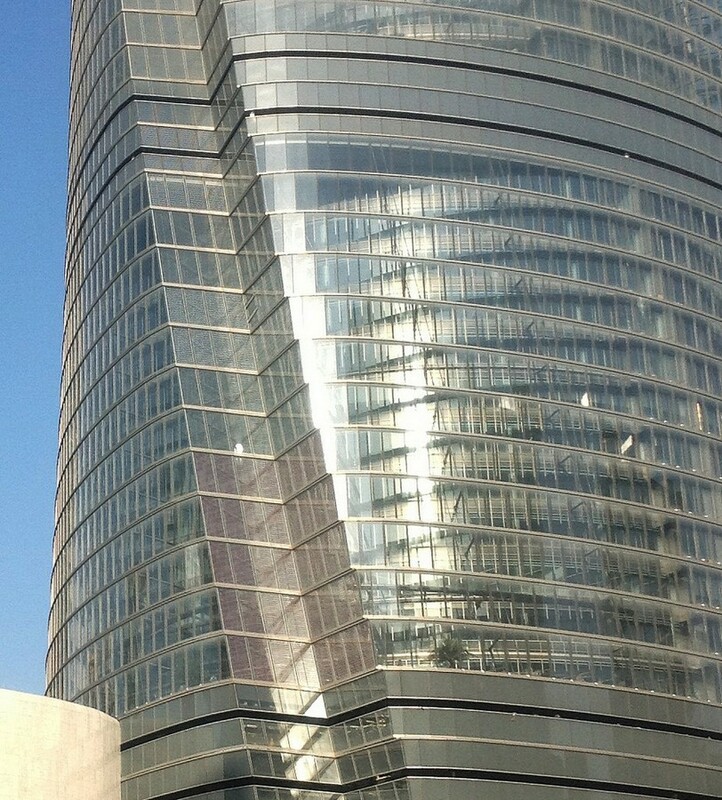 Shanghai Tower features a special customized automatic system to clean and replace exterior windows. 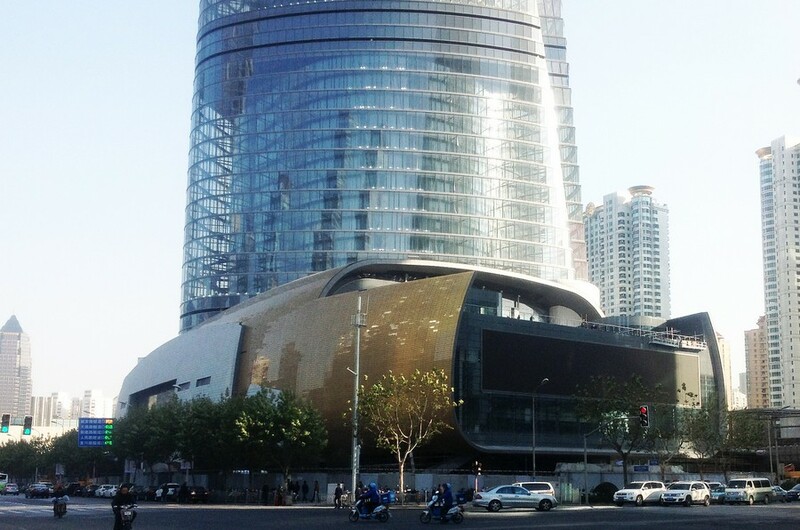 Owner: Shanghai Tower Construction and Development Co., Ltd. 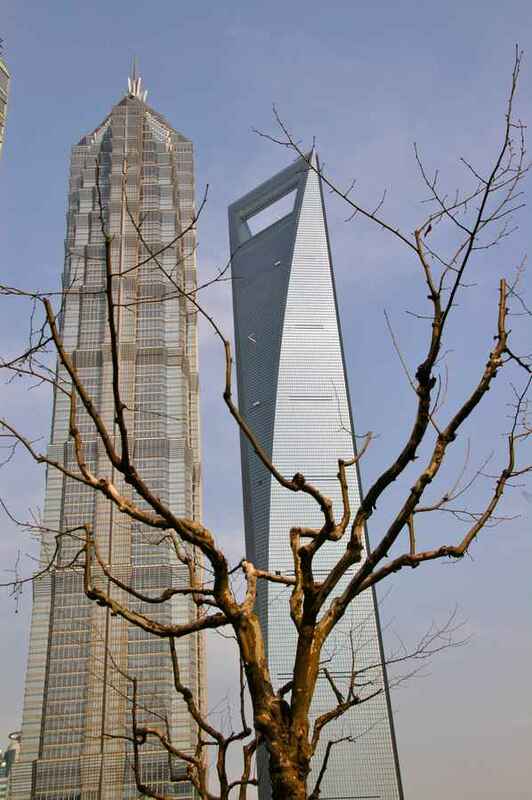 This shanghai skyscraper is the tallest of a group of three supertall buildings in Pudong: the other are the Jin Mao Tower and the Shanghai World Financial Center.